This book was elaborated by Maria Moreno, recently graduated in Modern Literature by Universidade Nova de Lisboa. Maria's work consisted of gathering jokes published on the web, during the course of two months. Maria Moreno's work location was public - the site of the exhibition. 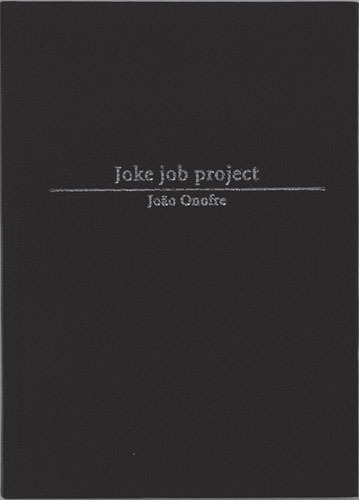 The book edition consisted in alphabetically systematizing the jokes by punch line.